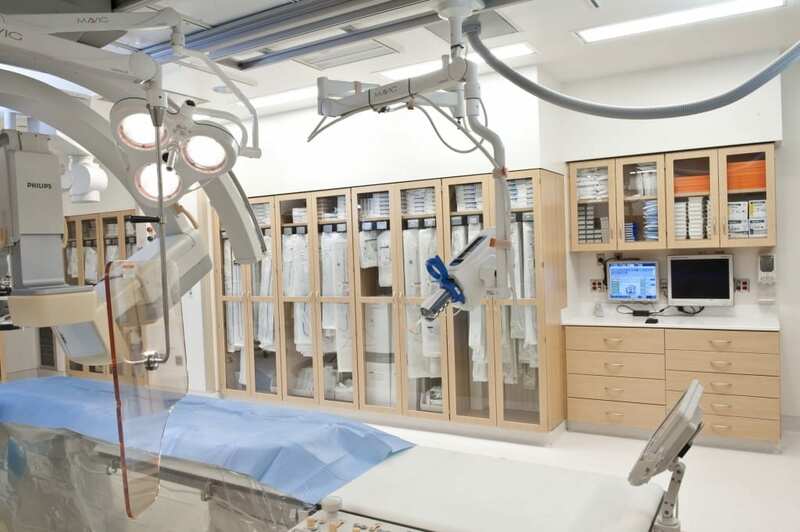 Optimizing space and maximizing surgical supply inventory can be a challenging but critical goal in efficient surgical suite storage design. Procedure rooms must provide point-of-need sterile medical supplies to support daily surgical operation activities. 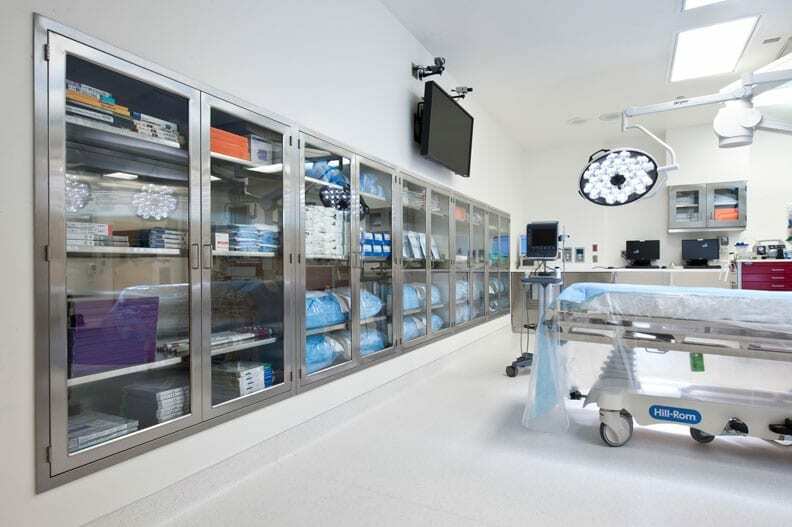 In addition to providing physical space, the growing popularity of hybrid operating suites requires storage systems to provide fast access to many, many different types of materials. In an area where infection control is crucial, every touch point in the room needs to be easily sterilized. 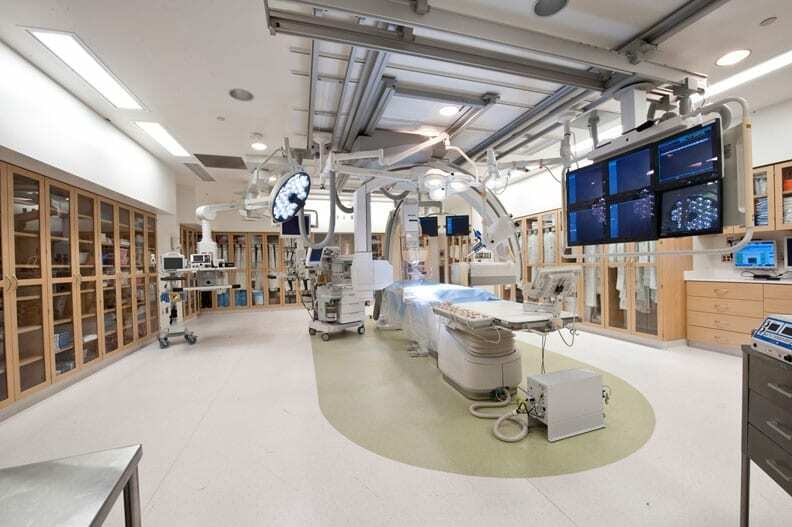 A mix of stainless steel and no-edge laminate surfaces can assist in your infection control program. 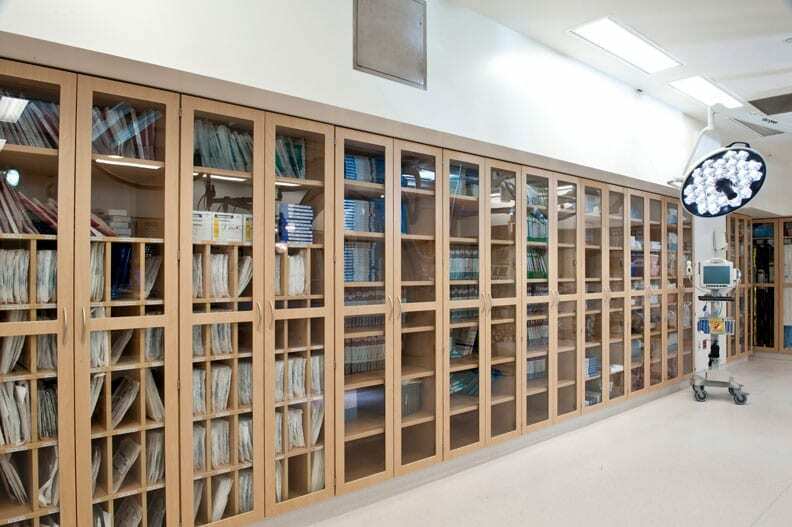 Specialty storage such as pull-out racks for catheter inventories or enclosed wire shelf units for sterile supplies can be configured to fit each surgical unit and the types of procedures they support, putting the focus on patient outcomes, instead of supplies.